But first a rant. Here in the U.S. our postal service is often described as inefficient and unprofitable. I beg to differ. When I mail a letter in Ohio, it’s often delivered in Boston or Denver the next afternoon. I’ve mailed plenty of letters to distant countries. They show up in a week, tops. A few ounces of paper arrives in the one place in the world I want it to go, all for less than a buck. That’s pretty impressive. And the post office lets me mail unwrapped shovels too (more on that later). Unprofitable? That’s not the real issue, unless you count the postal system having to pre-fund it’s retirement system 70-some years in advance. Name a company that can do that and stay in business. I’m all about going postal. Sending and receiving mail helps us slow down, savoring time in a way that’s often missed in our terabyte-speed lives. Here are some ways you can make snail mail a pleasure. 1. Try mailing a full-sized paintbrush, a basketball, a flip flop. All you need is a legible address and the correct postage. You might feel a little silly standing in line at the post office with an address-adorned plastic dinosaur, but it’ll be worth the look on your recipient’s face. I’ve mailed all sorts of silly things to a friend, mostly in response to oddities she mails to me. The strangest thing I’ve sent was a two foot metal shovel with a wooden handle. I used a permanent marker to write a note to her on the handle and the address on the metal part. It got there just fine. 2. For more ideas on what you can send through the mail, check out the Pinterest board 13 ounces or less. Check USPS regulations on what cannot be sent by mail. Investigate the peculiar history of unwrapped mail. 3. In 1914, five-year-old Charlotte May Pierstorff was sent via U.S. mail as a package to visit her grandparents. It was the only way her parents could afford the trip. My kids and I learned about her journey from the picture book, Mailing May , by Michael O. Tunnell. She’s not the only person to be sent as cargo. 4. The most inspiring example is Henry Box Brown, who in 1849 was a slave in Virginia. Using his savings to pay for the clandestine delivery, he had himself mailed to an abolitionist in Philadelphia. The trip took 27 hours, much of it upside down despite “this side up” instructions on the box. 5. The quirkiest unwrapped mail history I’ve run across involves W. Reginald Bray. In 1898 this British accountant began to send all sorts of unwrapped objects via mail. That included, but wasn’t limited to, a rabbit skull, a bowler hat, a turnip, his Irish terrier, and a bicycle punk. He also mailed himself, twice. He liked to test the logic of postal employees by mailing cards with addresses written as puzzles or clues. You can find out more about Bray in, The Englishman who Posted Himself and Other Curious Objects by John Tingey. Get back in the habit of writing letters. 6. Send a letter to your great aunt or a former neighbor. 7. Write letters to deployed service members. 8. A mailed letter has a greater impact on your elected officials than calls or emails, so if an issue is troubling you take the time to write out your concerns. Only a tiny fraction of the country’s citizens have ever done this. 9. Write to an author (his or her publishing house will forward your letter). 10. Write to a business. My son once wrote to a pen company to settle a bet he had with me. He said my habit of leaving pens uncapped would dry them out. He not only got a response confirming that he was correct, but the pen company’s PR person sent eight different pens for him to enjoy as well as an admonition to keep after his pen-wrecking mother. For other ways to inspire kids (or the kid in you) to write letters, check out any of Letters from a Nut books by Ted Nancy. 11. Groups of kids (classes, scouts, homeschool groups) can participate in letter exchanges with Peace Corps volunteers through the Coverdell World Wise Global Connections correspondence program and with long distance truckers via Trucker Buddy. 12. Find a snail mail correspondent through The Letter Exchange. Make your own envelope out of something unexpected. 13. Use a leftover scrap of wrapping paper, a torn out magazine page, a file folder scribbled with equations, an old map, whatever you’d like.The simplest way is to pull apart an envelope to use as a template, sealing your new envelope with a glue stick once you’ve popped a letter inside. For more detailed instructions, head over to Instructables. 14. If you don’t want to seal your one-of-a-kind envelope with ordinary tape or glue, make your own flavored envelope glue. 15. Or hide your letter from prying eyes using ancient techniques of letterlocking. These are clever methods of tucking, folding, and sealing used before envelopes were invented. One version is called the “daggar-trap!” More about that here. Let your stamp make a statement. 16. There are amazing USPS stamps out there reflecting practically every interest, but they don’t stick around (stick, hah) very long. Every time I go to the post office I check to see what they’ve got available. No flag stamps for me. I’m particularly fond of stamps commemorating nature, science, and the arts. 17. You can also make your own customized postage. Our cows’ faces could be stamps, the smiling cactus your kid drew could be stamps. USPS authorized vendors include stamps.com, pictureitpostage.com, and zazzle.com. 18. Register with Postcrossing. When you send a postcard you’ll receive a postcard back from another participant anywhere in the world. So far, 16 million Postcrossing postcards have been exchanged. 19. 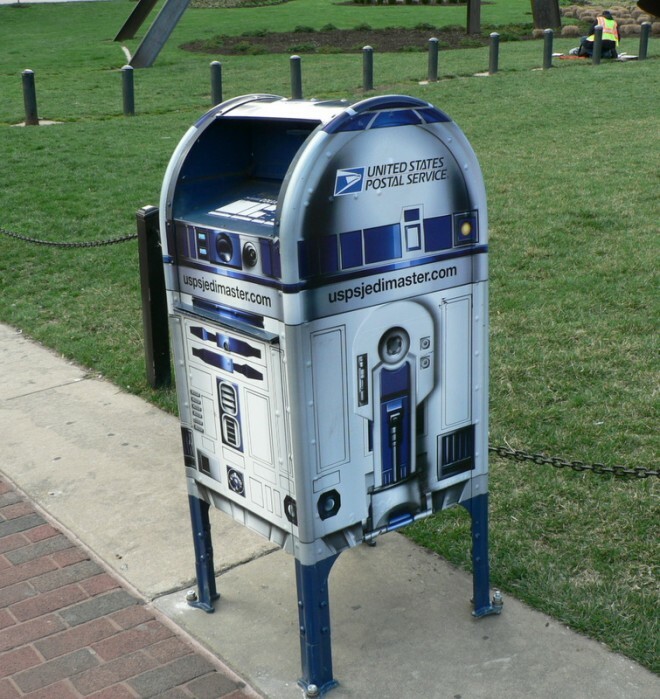 To set up a specific postcard exchange (or other snail mail swaps) put up a request on Swap-Bot. 20. When you’re out, even on a day trip, encourage young children to mail postcards to themselves or their siblings. Just a quick sentence helps establish the day as memorable (and reinforces literacy skills). It’s also fun when that postcard arrives at your home in a day or two. Get involved with or instigate a mail exchange. 21. I love art exchanges. I’ve participated in them on and off over the years, writing and decorating a page in a journal before sending it along to the next person or contributing to themed art challenges. My favorite was a Barbie art challenge. I glued a Barbie’s long hair into stiff twisting strands, gave her some theatening-looking facial features, and mounted her disembodied head into a tiny cardboard replica of a TV set with a “Medusa” remote. Find mail art calls through the International Union of Mail-Artists as well as Mail Art Projects. 22. Propose a mail exchange on a forum, blog, or other group. Make it themed, for example followers of a food blog send each other local foodstuffs. Fans of a particular musician send each other her lyrics re-imagined as comics or movie scenes. 23. All sorts of parenting lists host exchanges for kids who want a postcard from each state, a letter answering the same 10 questions from 100 participants, or favorite jokes. Suggest an exchange your kids would like. 24. Chances are you know children who would adore getting mail addressed to them, either your own kids or kids in your extended family. Try for at least a once-a-year tradition like a note on the child’s birthday. Or more memorably, on a quirky day. How about a letter every year on Waffle Day (March 25) or Go Barefoot Day (June 1)? 25. Consider writing letters as if from an imaginary creature telling a series of tales, perhaps the adventures of a rollerblading squirrel and her sidekick, a jogging possum. No less than J.R.R. Tolkien wrote and illustrated a holiday letter for his children every year, arriving as if from the North Pole. See his drawings and text in Letters From Father Christmas. 26. Write about your experiences when you were the child’s age. 27. Encourage return communication when you write to kids. At the very least, send them pre-addressed envelopes with stamps. You might write with a challenge. (Okay, a better one than the following example!) How about enclosing a length of string and the question: How many ways can you use this string? Maybe offer a prize if they write back with more than a dozen ideas. Or send response letters you’ve made with fill-in blanks to answer questions like: This week I was surprised when ________. If I could go anywhere tomorrow I’d like to go _________. If I ran the country, the first thing I’d do is __________. Most people don’t know that ______. 28. Write to toddlers well before they can read. Print a simple sentence or two, replacing some nouns and verbs with rebus pictures. (If you’re not familiar with this, it means drawing a cat face instead of writing the word “cat.”) Add something to the envelope that the child might find interesting, like stickers. Mail a simple thank you note. 29. Even a few lines of thanks come across differently when they’re written on paper and sent by mail. They seem more earnest and carry more meaning than the same few lines in a text or email. John Kralik discovered this when he was at the lowest point in his life and vowed to mail one thank you note every day for a year. Somehow, the effort of thanking others brought unexpected returns to his life including business success, weight loss, and richer friendships. Read his story in A Simple Act of Gratitude: How Learning to Say Thank You Changed My Life . 30. Send a thank you to a favorite teacher, a former mentor, the local bookstore owner whose business you appreciate, someone who did you a kindness that you haven’t forgotten. 31. Consider writing a letter to someone you see everyday. Your child, your spouse, your co-worker. Tell them something you cherish about them or how they enrich your life. When the situation calls for it, tell your truth with an un-thank you note. 32. Of course it’s best to handle negative situations immediately, but I’ve gotten some dire predictions from professionals that proved false over time. This surgery is absolutely necessary. You’ll have a maladjusted child if you homeschool. Ritalin is the only solution for that behavior. It’s my contention that sending a respectful letter updating a doctor, teacher, or other expert is a kindness to the people they will advise in the future. There are ways to write a useful unthank you note. Chances are you won’t get a response but you’ll feel lighter. 33. If you want to tell the world the truth anonymously, mail a postcard to PostSecret. Keep up with these powerful, often artfully shared secrets via Facebook and check out the TED talk by founder Frank Warren. Use handwritten notes to advance professionally. 34. It seems counterintuitive when there are faster ways to communicate, but that’s the point. A letter to a business contact makes a lasting impression and does so at just the right speed. 35. The go-to guide for this is Business Notes: Writing Personal Notes That Build Professional Relationships by Florence Isaacs. Inspire yourself to write letters by reading epistolary novels. 36. The Color Purple is told through letters and if you haven’t read it, this book isn’t to be missed. The Historian centers on a medieval book that opens clues to Dracula’s existence. The Guernsey Literary and Potato Peel Pie Society reveals memorable characters living on the island of Guernsey during the Nazi occupation. Any of the Griffin & Sabine books have intriguing tiny envelopes inside, giving the reader the sense of peeking at private correspondence. 37. For teens: Sorcery and Cecelia or The Enchanted Chocolate Pot , about two cousins drawn up in a alternative universe complete with romance, wit, and magical chocolate. Or for more romance plus intrigue at Australian high schools, two very popular books by the same author, Feeling Sorry for Celia and The Year of Secret Assignments. 38. For young children: Help Me, Mr. Mutt! : Expert Answers for Dogs with People Problems as well as any of the many books starring the ever-clever letter-writing dog Ike LaRue . For more motivation, spend time with those who exult in snail mail. Ahh, I am so bad at this. Part of the problem is my handwriting. But it’s also about finding the address and stamps and getting it to a mailbox. I wanted to teach my son to write thank you’s, but I’m so bad at it myself. Mainly I’m replying to mention the marvelous picture book about Henry Box Brown, Henry’s Freedom Box, by Ellen Levine, illustrated by Kadir Nelson. My son and I love this book. Thanks Sue, I hadn’t heard about the picture book. His story has captivated me. As for the bother, I hear you. But there are ways around it. Buy stamps online and leave finished mail for your carrier to take.Type notes in silly fonts rather than handwriting, send math riddles on pre-paid postcards, maybe even mail your son something so he has the fun of getting his own mail. I’ve always loved mail, and have saved Christmas cards, letters and post cards—lots of them. Good point about the post card exchange. I just ignore such things unless my kids were also participating. Clearly you are much nicer! We’ve only participated in science mail exchanges for kids where each participant responds by listing locally observed birds, insects, animals, and plants they commonly see. You are so cool! I do not suppose I’ve truly read a single thing like this before. So good to find another person with some unique thoughts on this issue. Really.. thank you for starting this up. This site is something that is required on the web, someone with a little originality! Oh and this. Write letters to kids from their pets! I’m not often minded to reply to blog posts, but this is an excellent post and it’s made me really excited about sending letters. I will definitely be using some of your tips to send letters to my nephews, who live abroad, and I’m hoping the UK postal services also have a personalised stamps service. Thank you! Elaine, you and your fellow employees do an astounding job. Thank you. I wish more people knew the U.S. Postal Service is running out of money due to laws that force postal employees to fund pension systems for future workers who haven’t even been born. Really great post. I love snail mail and think its a lost art. I have a liitle tip.. If you want great snail mail penfriends from all over the world try http://www.globalpenfriends.com – its Safe, secure, family friendly and its been around for 20 years! I have met so many great pals through this club. Loved reading these ideas! I write to my grand-niece, and I’m looking for new, interesting ideas. I like the “Waffle” day idea. I’ll be checking into unusual holidays. And I may make up some photo stamps. I just sent off a letter to her in a small box. It was 1 line of writing, 40 feet long. I printed up the letter and cut each line apart into 1 inch strips. Then I taped the strips together. Then I wound it up. (It kind of looked like a roll of address labels.) There was room for 1 piece of chocolate in the middle. Found a hinged wooden box at the craft store and made a label and tied the box with twine. I love coming up with unusual letter ideas. I once mailed an unwrapped candy bar (an Abbazabba) with stamps and my home-printed “postcard-type” label. And a translucent envelope filled with 1″ photos of everyone in our extended family to see if she could group them into families. A really cute service is Leafcutterdesigns, who will help you send a letter so tiny that a magnifier is included with your letter. She got a kick out of that. I’m always on the lookout for unusual, tiny things that will fit in an envelope. She writes me back, and I treasure her letters. What a lucky girl to have you for an aunt. Your ideas are wonderful. Thanks for sharing!